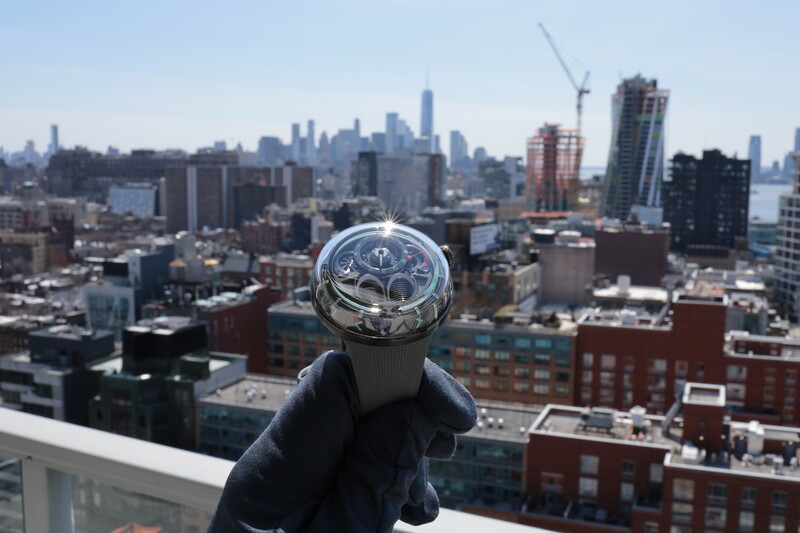 Edifice recently introduced a new version of their flagship multi-band atomic timepiece. The Edifice Atomic Worldtimer features Casio’s best quartz movement technology, packaged in a premium black IP steel case. 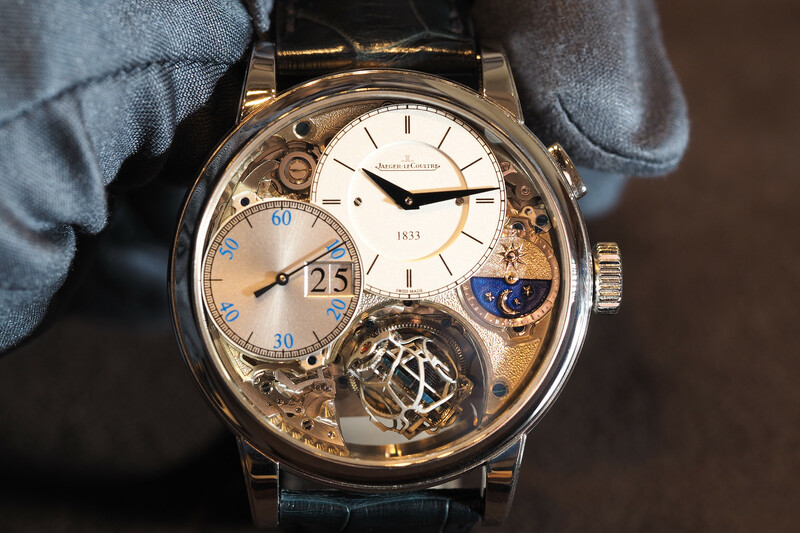 Above all, this is one of the most precise, easy to set and maintenance free timepieces on the market. 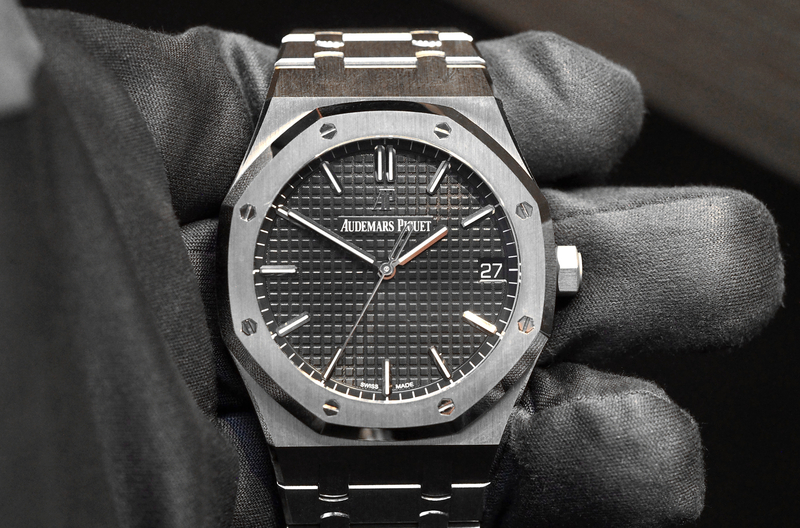 The case is 43.1 mm in diameter by 12.1 mm in height with a flat mineral crystal and solid caseback. The case has a brushed finish with polished accents on the bezel, crown, pushers, case flank and the center of the bracelet links. The dial has vertical machined grey stripes and sloped indexes. Neo-Brite lume on the hands and markers. Black IP treated stainless steel bracelet (tapered) with folding clasp. Water-resistant to 100 meters. Functions include hours, minutes, seconds, 1/20th of second chronograph with 10 lap memory, 29 city world timer, full auto-calendar (pre-programmed until 2099), atomic signal indicator – Yes/No (at 9 o’clock), battery power indicator (located at 9 o’clock), 12/24 hour format day/night indication and alarm. This is one of the most accurate and easy to use quartz timepieces I’ve ever used. 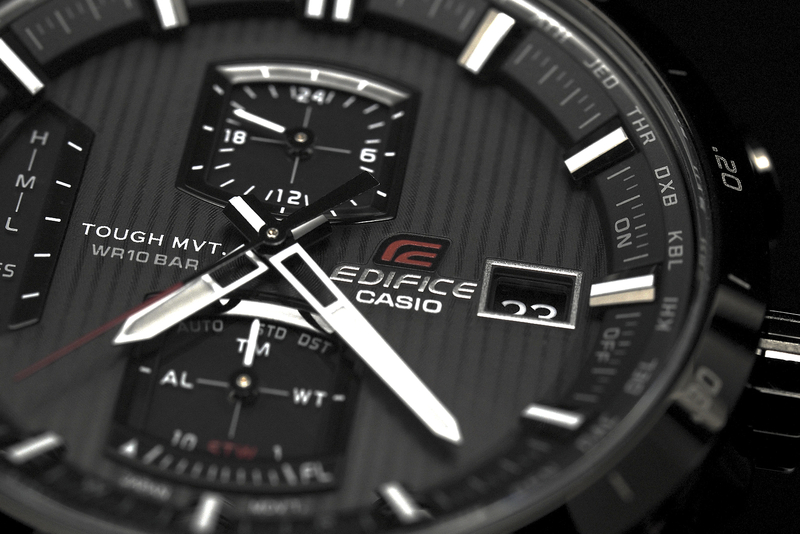 Previously, changing time zones on Edifice atomic timepieces was somewhat difficult. Now, all you have to do is push the mode selector at 8 o’clock and select the “World Time” mode, then pull out the electronic crown and turn it clockwise or counterclockwise to the corresponding city; the hands then instantaneously jump to the correct time – down to the second.